The deVere Vault has added 22 new currencies and a new feature to enable third party transfers, via its global e-money app. As a result of the upgrade, users of deVere e-money’s app can now store and transfer money in a total of 27 currencies. The additional new feature now enables transfers to the individual’s own accounts or those of a family member or a friend, an organisation or business – anywhere in the world. The global IFA and financial services company said in statement announcing the upgrade that new feature also includes the ability to select from standard or priority payments and save a list of beneficiaries. 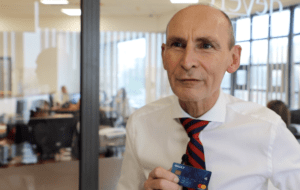 Nigel Green, chief executive and founder of deVere Group, pictured left holding a deVere Vault card, said that he believes that with the additional 22 currency ‘wallets’ deVere Vault is “the world’s most international” e-money app. 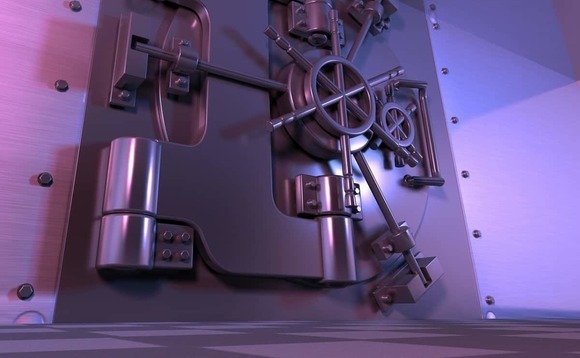 Newly added to the list of Vault currencies of the pound Sterling, the US Dollar, the Euro, the Swiss Franc and the Polish Zloty, are; the Australian Dollar, Bulgarian Lev, Canadian Dollar, Chinese Yuan, Czech Koruna, Danish Krone, Emirati Dirham, Hong Kong Dollar, Hungarian Forint, Israeli Shekel, Japanese Yen, Mexican Peso, New Zealand Dollar, Norwegian Krone, Qatari Riyal, Romanian New Leu, Saudi Riyal, Singapore Dollar, South African Rand, Swedish Krona, Thai Bhat and Turkish Lira. An additional automatic currency choice feature has been added in certain jurisdictions. For example, when a client uses the card in the US, the UK, the Eurozone or Switzerland, Vault automatically adapts to use in the right currency, without the account holder having to do a thing. “We’re entering a new age,” added Green. “We are truly at the start of a tech and digital revolution that is monumentally changing the way we live, do business and connect to one another – and the changes are coming quicker than ever before and will affect more people than ever before. Click here to watch an exclusive video interview with Nigel Green, filmed at the company’s back office operations in Malta last month. Click here to view our UK edition. Click here to view our International edition.